More than a week after the National Film and Video Foundation (NFVF) abruptly dropped all writers’ categories from its 13th South African Film and Television Awards (Saftas) main ceremony, the organisation has not responded to multiple media enquiries about the shocking move, nor met with the Writers’ Guild of South Africa (WGSA). For more than a week since 2 March Channel24 has been asking the NFVF, funded by the department of arts and culture, for comment and an explanation as to why the writers’ categories were abruptly removed from the main ceremony broadcast on SABC2. The NFVF didn’t tell the WGSA, nor nominees that their categories had been moved to the non-televised, so-called “technical awards”. Neither Shadrack Bokaba, NFVF acting CEO; Neo Moretlwe, NFVF communications coordinator; nor Instinctif, the PR company paid by the NFVF to liaise and communicate with the press have responded with any answers to questions put to them in multiple media enquiries made over several days. This is very similar to what happened with the Oscars earlier this year. In February the Academy of Motion Picture Arts and Sciences came under fire when it announced that it will be presenting the awards for four categories off-air during ad breaks. Immediately after the 13th Saftas, the WGSA said it plans to boycott the NFVF’s Saftas if the writers’ categories are not reinstated to the main awards ceremony. According to insiders, it seems as if the NFVF that added separate telenovela categories for the first time this year to lure more soap stars to appear during prime time in the awards show, unilaterally decided to sacrifice more of the proper TV and film production categories, in order to try and insert more superficial “glitz”. With the telenovela addition and because of duration, more legitimate industry categories were banished from the show. Through pandering to a view-from-home audience in an attempt to lift ratings, the NFVF decided to turn the Safta award ceremony that is supposed to be more a “South African Oscars” and recognise the entirety of the local TV and film industry’s serious work, into a more fluffier “Daytime Emmys”, more heavily focused on the visibility of soap stars, insiders say. The Writers’ Guild of South Africa (WGSA) on Tuesday told Channel24 that the “WGSA was shocked and taken aback when we were told during a networking meeting on the morning of the Safta awards that writing categories would be moved from the main show to the technical awards, without any advance notification or consultation”. “As a result, many writing nominees were not present when their categories were awarded in the afternoon, and were left confused and angry when their categories did not feature during the main show,” says Harriet Meier, WGSA chairperson. “This is not the first time that NFVF has unilaterally removed the writers’ categories from the main Safta show, which is really incredulous considering that the writers create the scripts and screenplays without which there would be no actor, series, film or soap awards,” says Meier. “In fact, without the writers, there would be no Saftas,” she says. 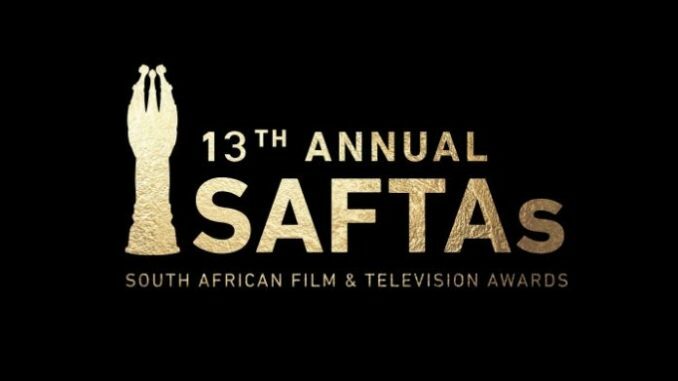 Meier says “there is no question that WGSA will demand the reinstatement of the writers’ awards in the main broadcast of the Saftas”. “In the meantime, the highly prestigious WGSA Muse Awards have opened for entries. This time, there is even a category for writers from the rest of Africa. With internationally acclaimed judges making the final choice, the WGSA Muse Awards really stand out as the awards for African writers,” says Meier.